Photos taken in Umatilla, Florida. That's my new friend Jerry with his delicious citrus. The lion is in the Library and the Burma-Shave signs are located at the old school house. The Police Station was once a water treatment plant as indicated by the 1930's era plaque. 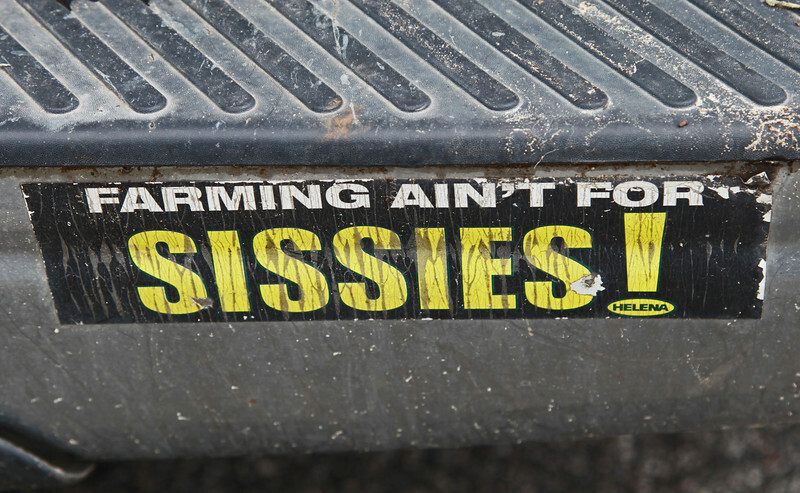 The "Farming Ain't for Sissies" is a bumper sticker on a muddy pickup truck parked at the local eatery. The sleigh did not appear to have been used lately in Florida.